King Georges Hall | Experience Bon Jovi at King George’s Hall this December! Experience Bon Jovi at King George’s Hall this December! 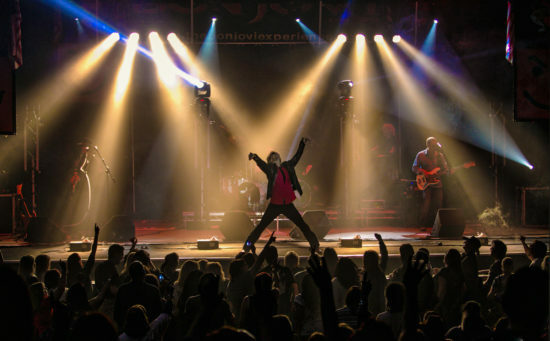 This December, King George’s Hall welcomes The Bon Jovi Experience, the worlds only Bon Jovi tribute to have performed live on stage with Jon Bon Jovi himself. In 1994 a group of friends from Crewe, Nantwich and Dudley formed a small tribute band to Bon Jovi. Performing in pubs and clubs, they had no idea that they would become, not only one of the number one tribute bands to Bon Jovi, but endorsed by Jon Bon Jovi himself. In 2006 at The Hard Rock Cafe in London, Jon Bon Jovi asked the band personally to appear at an official fan club event for his induction into the Rock n Roll Hall of Fame. Jon joined the band on stage and together they performed “Who Says Ya Can’t Go Home” to a sell out crowd. “It was a privilege and an honour to be asked to perform with a legend as Jon Bon Jovi and my own personal idol. It still feels like yesterday. A gentleman, friendly, inviting and a consummate rock star, he brought a lump to my throat,” front man Tony Pearce said. The Bon Jovi Experience are also the only tribute to have been featured on the official Bon Jovi website.